Ulysse Nardin | 99'000 € Tax inc.
Ulysse Nardin watches feature a whole watch model, movement, dial, structure and content specific to each collection. The Freak collection has revolutionized the classic tourbillon model, as few brands do. 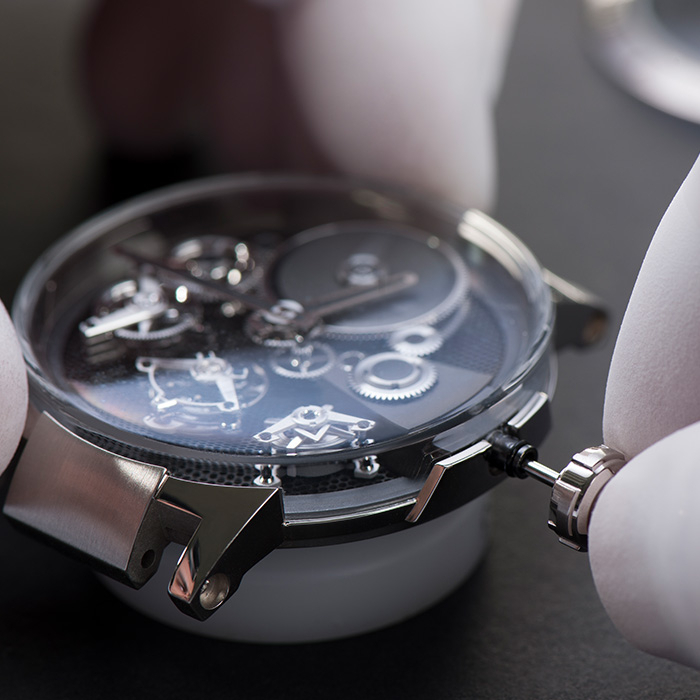 Ulysse Nardin watches are made of disruption, each model being created in an R&D tourbillon, where the content and structure of the watch are combined to establish a new watchmaking trend. 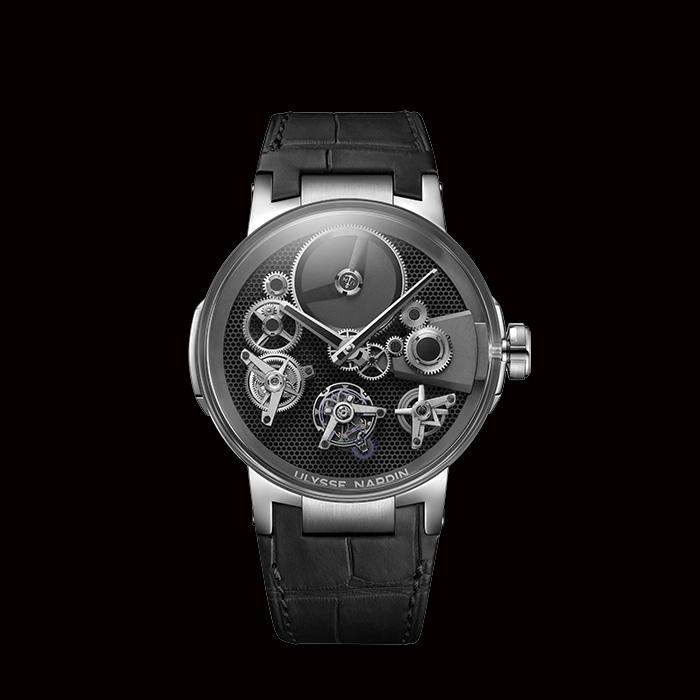 The Ulysse Nardin monte is defined as much by its dial, its movement (often a tourbillon movement) as by the content of its case, often visible through its sapphire crystal - in reality a double sapphire crystal, with a sapphire on the dial side and a sapphire on the movement side, each sapphire being an anti-reflective treated sapphire. Ulysse Nardin's Executive collection offers an alternative model to the conventional watchmaking of brands. 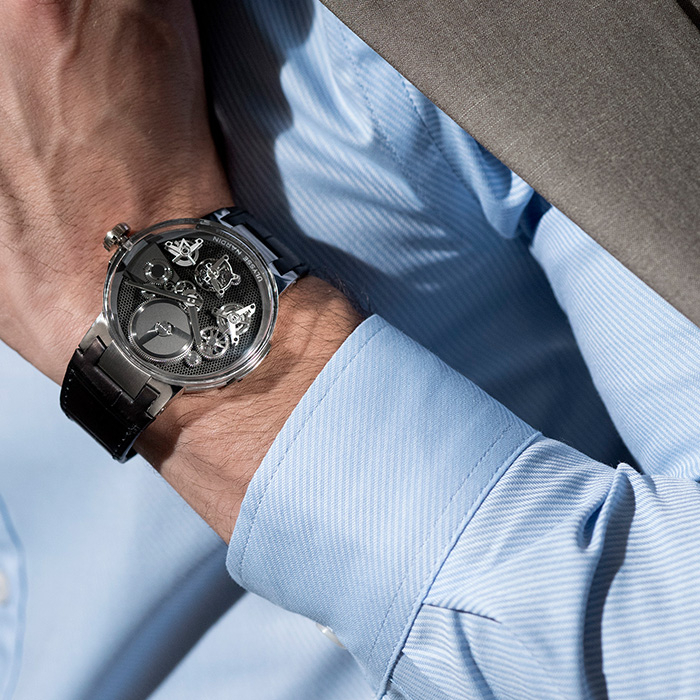 The watches in this Executive collection now feature a very special collection model: the Free Wheel (Free wheel). Free Wheel? With these two words, Free Wheel, these watches are intended to offer a model whose tourbillon movement flushes with the dial. The sapphire crystal is called "sapphire glass box", which means that the sapphire follows the dial of the watch to its last limit, that of the case, without a flange or bezel. 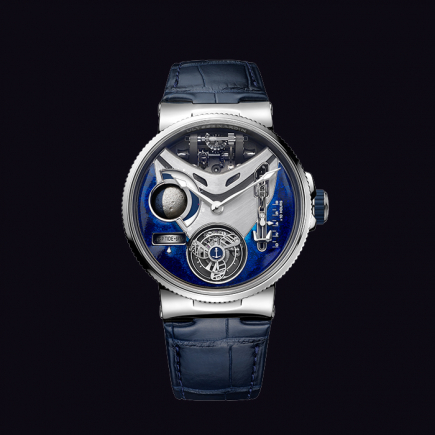 Rare on the market, this type of Glass Box sapphire crystal allows Ulysse Nardin here for the Free Wheel model of his Executive collection to stage his tourbillon as well as each component of the structure and content of his movement. 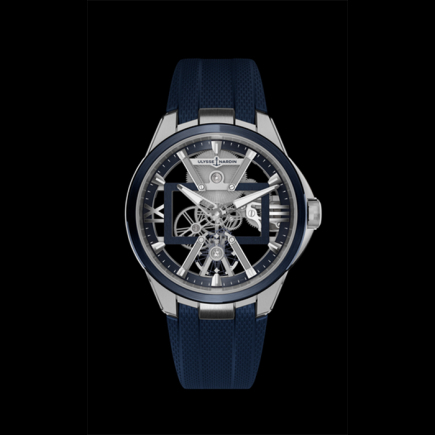 This limited edition Ulysse Nardin Executive Free Wheel is therefore not a skeleton watch or a classic tourbillon movement watch from the market, common to many brands, it is a model where the dial remains present but where the content of the movement crosses this dial to flush with the sapphire glass box crystal. This original movement by Ulysse Nardin masks certain components of the movement in order to allow only the essential structure of the movement's content to pass through the dial glass, under the sapphire crystal. 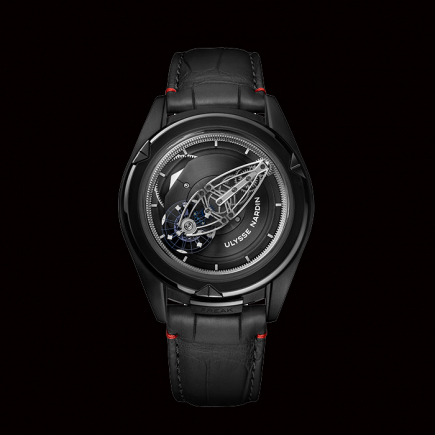 The Ulysse Nardin Executive Free Wheel reveals some of the most surprising features: the tourbillon movement bridges on its dial and its 7-day power reserve indicator, located at 4 o'clock, draw the shape of boomerangs that seem to float above the dial, under the sapphire glass box. 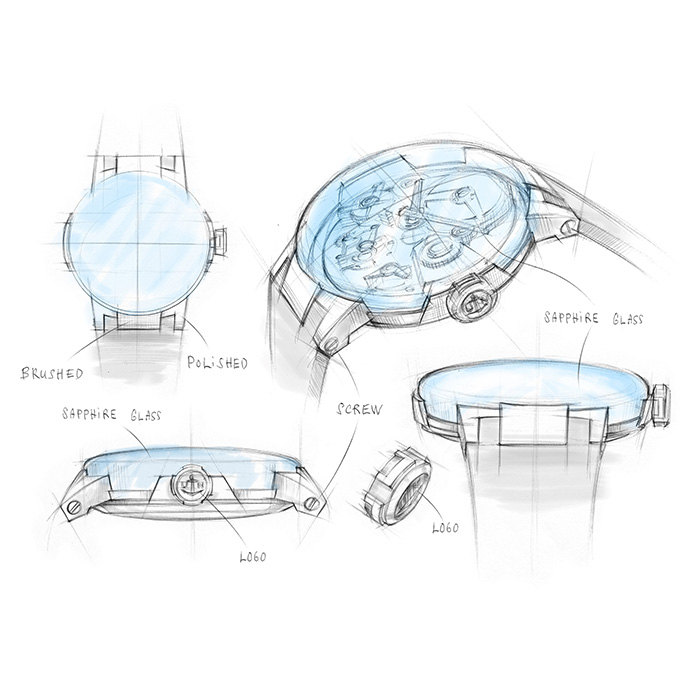 The same applies to its skeletonized elements of the structure and content of the movement, the hour and minute hands, as well as the wheel trains. 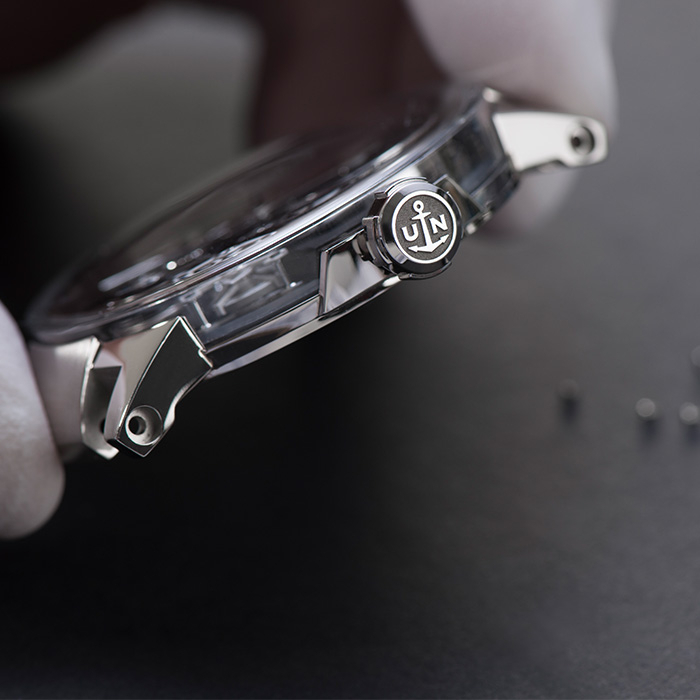 These lead to the tourbillon manufacture Ulysse Nardin, with the tourbillon model that no other brand has, the Ulysse Anchor Escapament of this Executive Free Wheel. 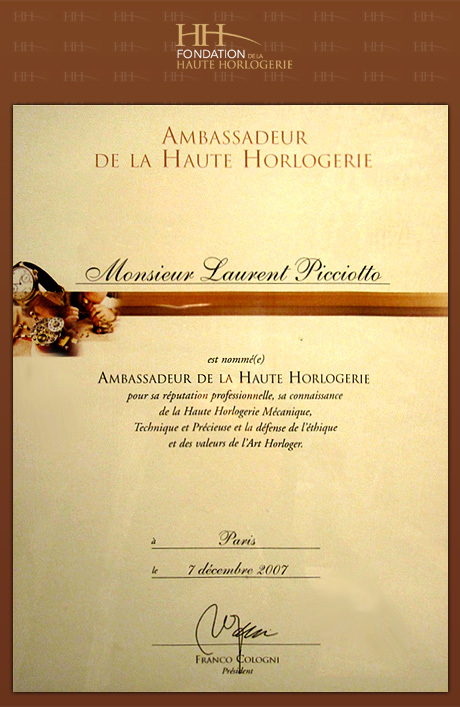 This sapphire Glass box, which houses these "flying" parts (free wheel), required long tests, the complexity and finishes of the structure and content of the tourbillon movement, in particular the polishing of the angles, were extremely difficult to achieve for this model of Ulysse Nardin's Executive. 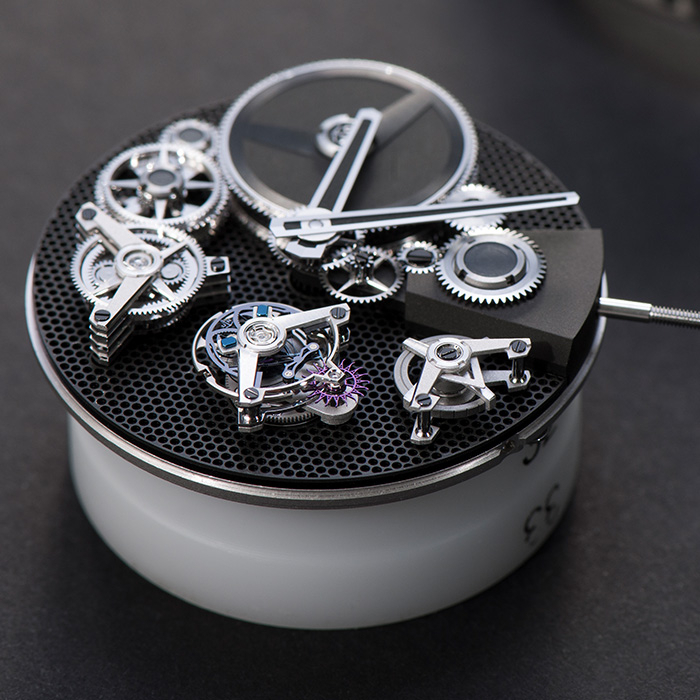 Also made of sapphire, the case back of the Free Wheel leaves no trace, all the precious components of the Free Wheel watch being visible on the dial, injecting a complete overhaul of the usual structure and content of a usual model of luxury watches. Offered on an alligator strap, the Free Wheel tourbillon watch model from Ulysse Nardin's Executive collection, with manufacture movement and sapphire glass box crystal, offers its haute horlogerie content in two gold variations, pink and white. Power-reserve indicator at 4 o'clock. "Carbon Leather" matte alligator strap.